My goal is developing students’ skills at a high level so they may pursue a career in trumpet performance or trumpet/brass pedagogy. I am experienced teaching a wide range of ages and skill levels, fifth grade through college. “One-size-fits-all” is not my approach to teaching or learning. As such, I focus my teaching to the individual student and their resultant individual needs. 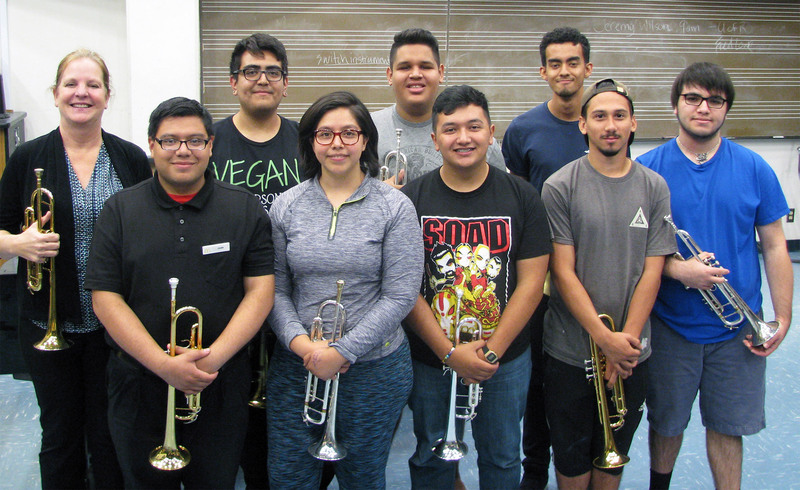 Although I strongly emphasize the fundamentals of trumpet playing (mouthpiece buzzing, tone production, finger technique, breathing and musicality) as a necessary component of my instruction, I ensure that all genres of music are explored and performed. I believe many attributes make up a great musician. It’s not always about the ability to play the instrument, but about commitment, a strong work ethic, a good attitude and being able to work with others. 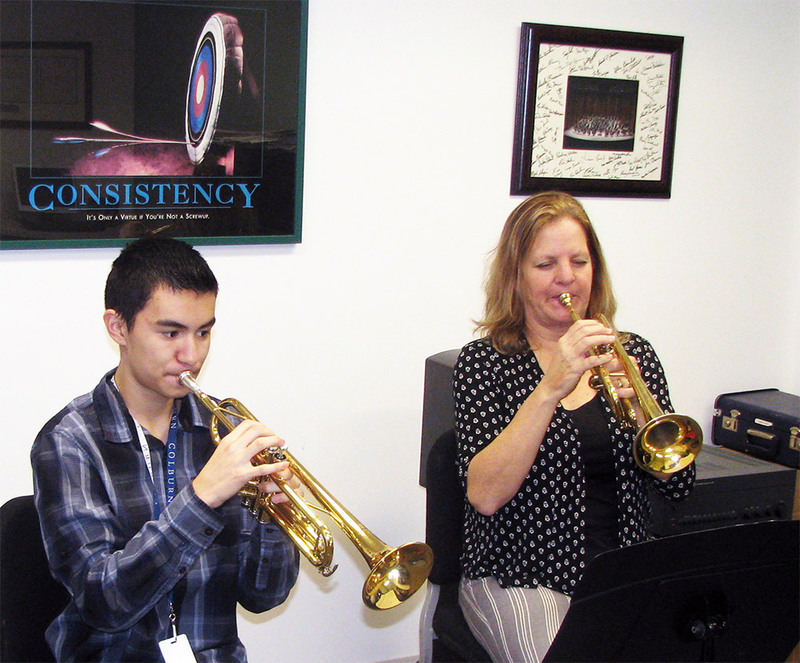 I teach my students that practice is very important and that it doesn’t just consist of practicing their trumpet. It can consist of playing the instrument, listening to other artists perform pieces they are learning, listening to recordings of all genres, going to live concerts whenever possible of all styles and genres, and reading materials pertaining to their areas of interest. • To enquire about private lessons at Marissa’s home studio, please go to the CONTACT page and send a note. Please send Marissa a note via the CONTACT page about scheduling a Masterclass for your school. I use both of these methods as a warm up and to get basic sound production and lip flexibility — for air flow and lip vibration. While many trumpet players only know the first 3 or 4 of these technical studies, I use all 10 studies for many areas of playing: agility of the fingers, air speed and control, consistency of air, tonguing, multiple tonguing (double and triple), articulation (slurring, slurring and tonguing combined). I use Charlier or any other French Etude book. There are many books, but Charlier is my main staple to teach musicality and make every note sing. Boyde Hood, my teacher from USC and afterwards, emphasized, “Never play out of fear or frustration.” I integrate this in my lessons, particularly when students are nervous or playing with lots of tension. Fear makes us hesitate before producing a sound. It also can create tension. Frustration can make us tense and to do things that may (or may not) feel good at the moment but are not helpful in the long run. Neither fear nor frustration allows us to take a long, relaxed breath.